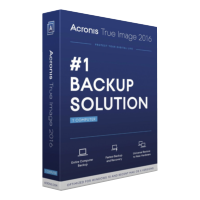 Acronis True Image 2016 is a powerful application which can back up anything from individual files and folders, to single partitions and entire hard drives. Operations remain as simple as ever. Choose "Entire PC" as the source, an external drive as the destination, and you can have your first backup running in seconds. But if you need more, just choose the files, folders or partitions you'd like to protect, then use the extensive Settings dialog to configure your backup scheme, schedule, encryption, notifications, Exclude filters, pre/ post commands, validation rules, and the list goes on. 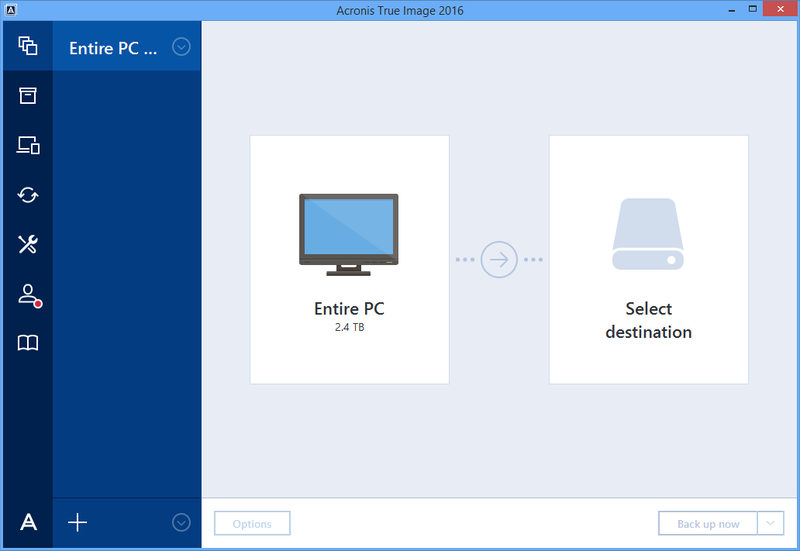 Acronis True Image 2016 brings welcome return of "Try&Decide", a handy feature which allows you to take a system snapshot, then carry out some potentially risky action - install a new program, maybe - and optionally revert to your snapshot if there are any problems. More generally, the new release has improved backup and recovery speeds, and sees various interface tweaks to make it even easier to use. Please note, the big change this time is that Acronis True Image 2016 supports backing up to local and network storage devices only. For online backup, check out Acronis True Image Cloud 2016, which brings you unlimited cloud storage space, support for backing up iOS/ Android/ Windows mobile devices, and a new online dashboard to keep track of your hardware. Includes a 1-PC license and you can use the license for either your PC or Mac.